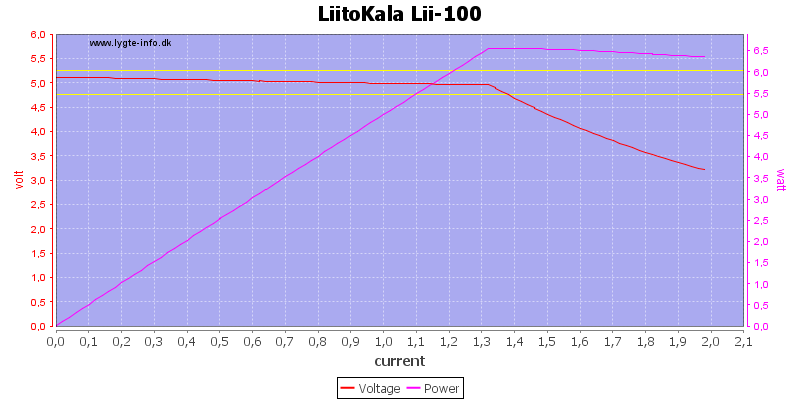 LiitoKala has made a couple of analyzing charger, but this model cannot do any analyzing, it is a small universal charger that handles 3 types of LiIon and NiMH, it addition to this it can also work as a power bank. 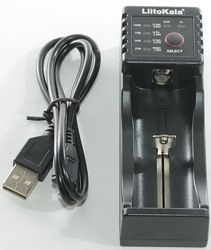 The packaing was very simple, being just a plastic bag. 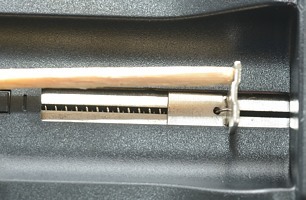 The pack contained the charger and a usb cable. 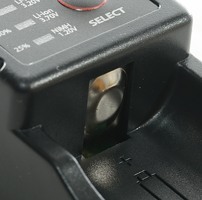 The charger uses the typical slider construction, it can handle batteries from 33mm to 70mm. 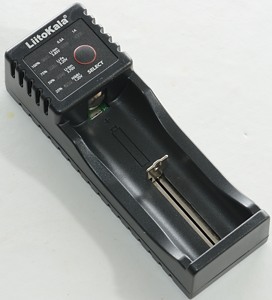 Charges LiIon batteries with 0.5mA when connected to power. 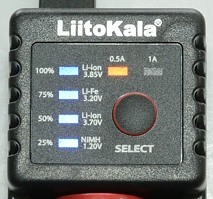 Charges NiMH batteries with 2.2mA when connected to power. 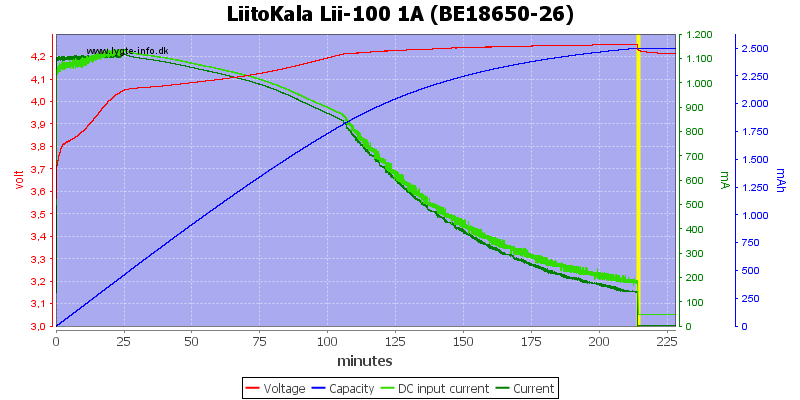 From 0.25 volt on the battery the charger will reconize it and start charging. 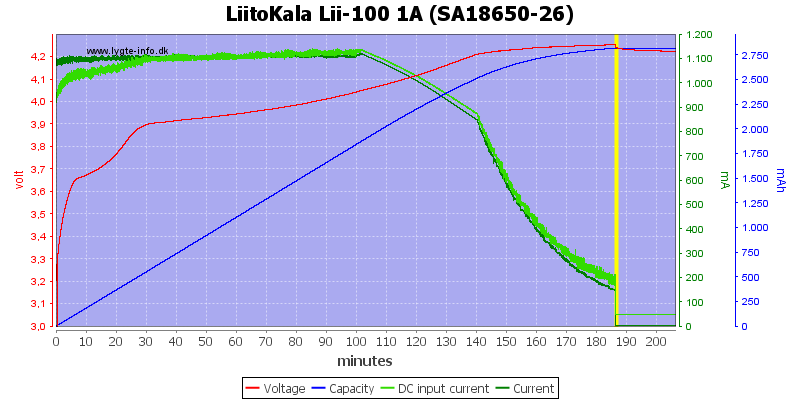 The charger has a fine CC/CV voltage charge curve, it starts reducing current a bit early, due to voltage constrains, this will give slightly longer charge time. No surprise on these two cells. 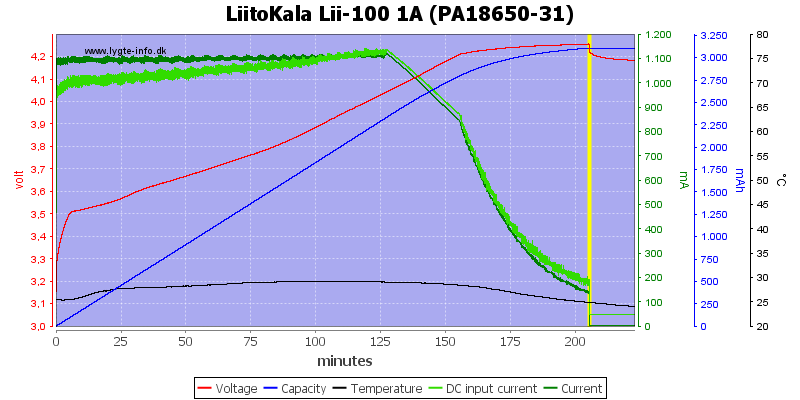 Reducing the charge current to 0.5A works fine, except the termination current is not reduced (Cells will miss the last few percent of the charge). 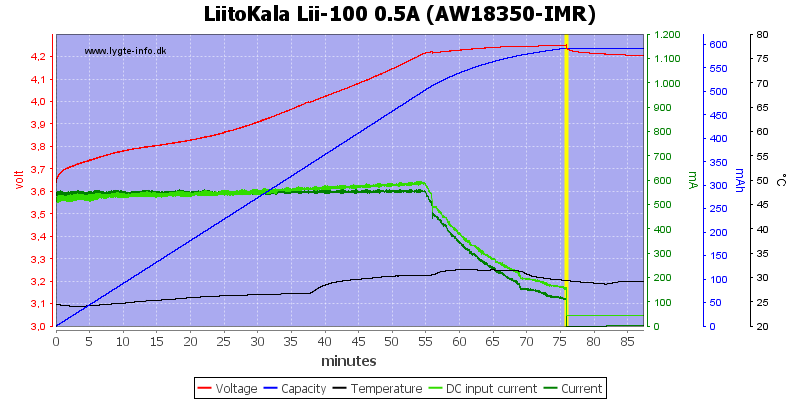 With this older cell the current reduction starts very early as expected. Good charging on these smaller cell, again the higher termination current means a few percent loss in capacity. 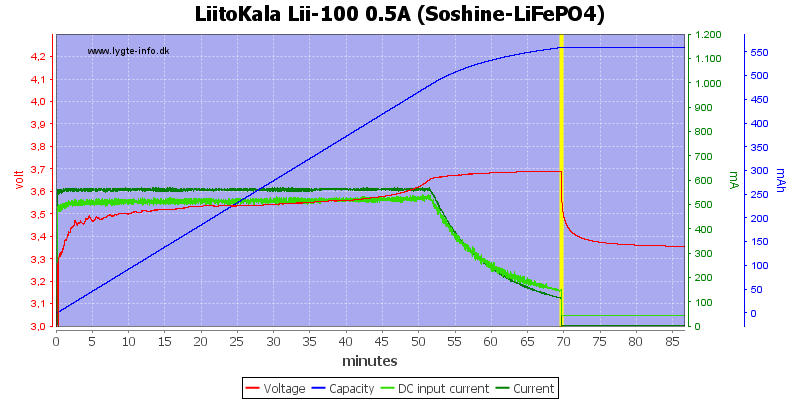 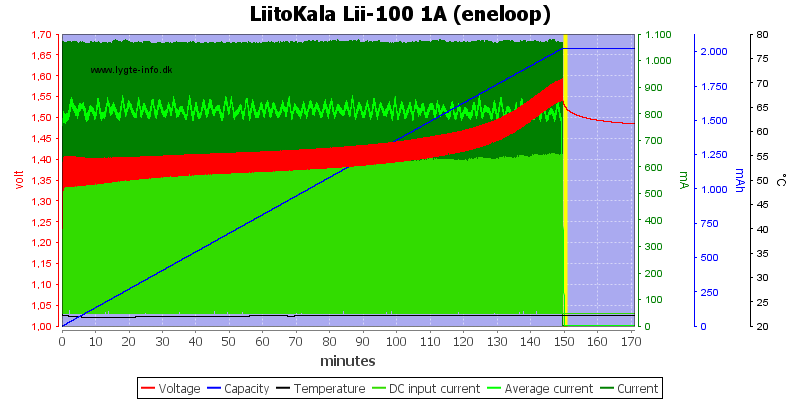 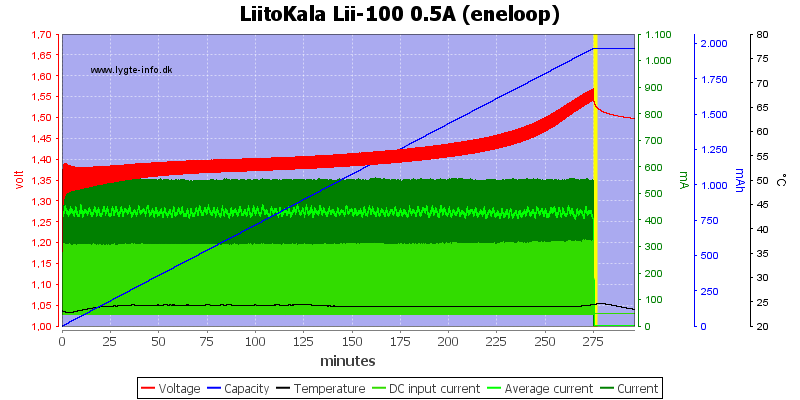 Both LiFePO4 cells is charged fine, but the voltage is a bit high (This is not a big problem with LiFePO4). 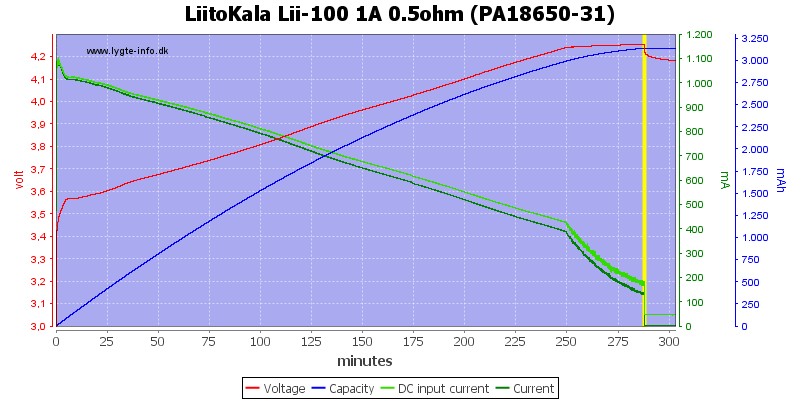 This is a fine NiMH charge with voltage termination and no trickle charge. 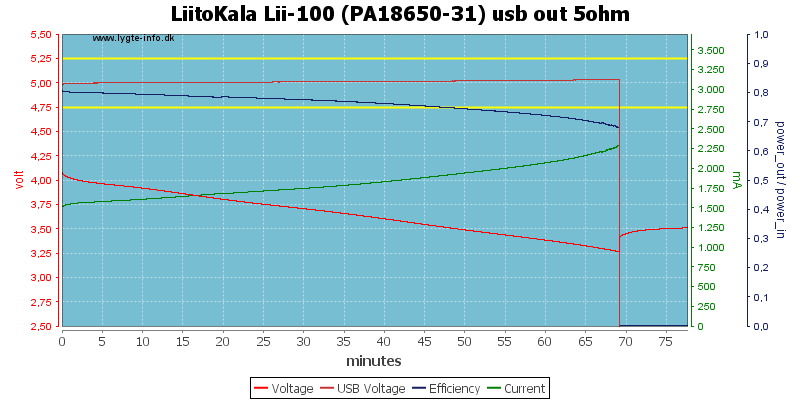 When using voltage termination without a top-off charge the batteries will be slightly below full capacity. 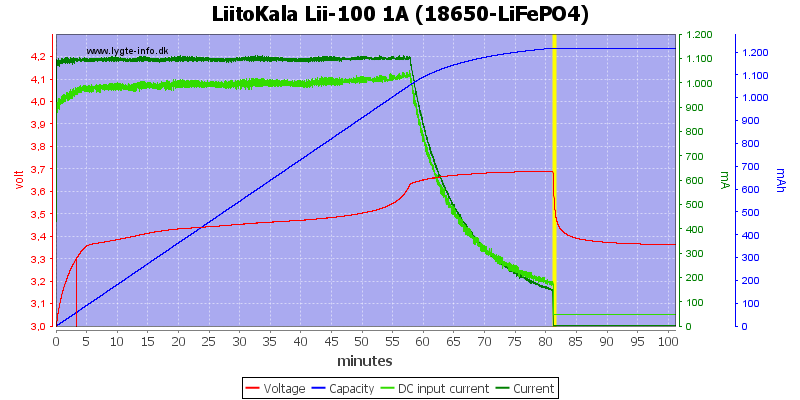 Using 0.5A charge current is also stopped on voltage termination. 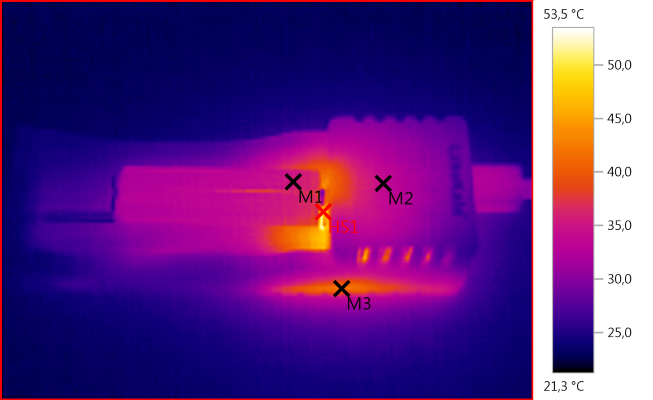 On this cell it looks like a voltage termination. 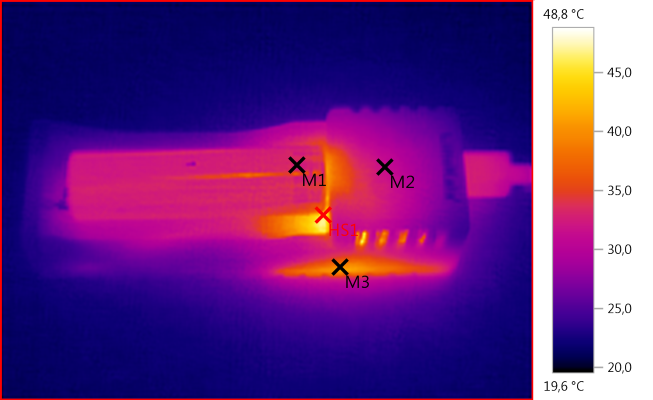 Here it is -dv/dt termination. 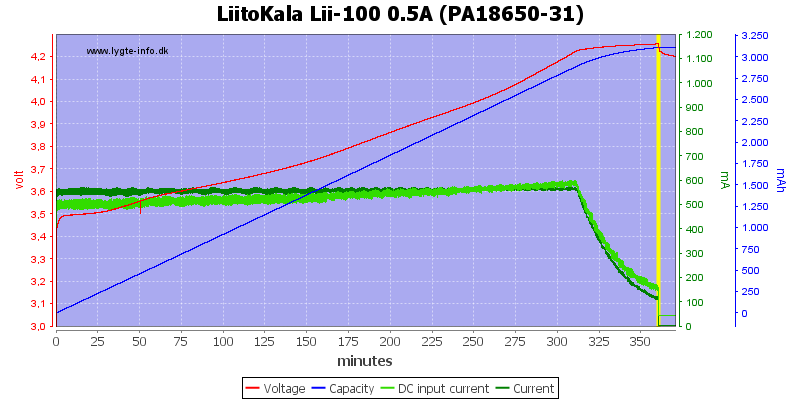 My new powerex cell is stopped on -dv/dt. 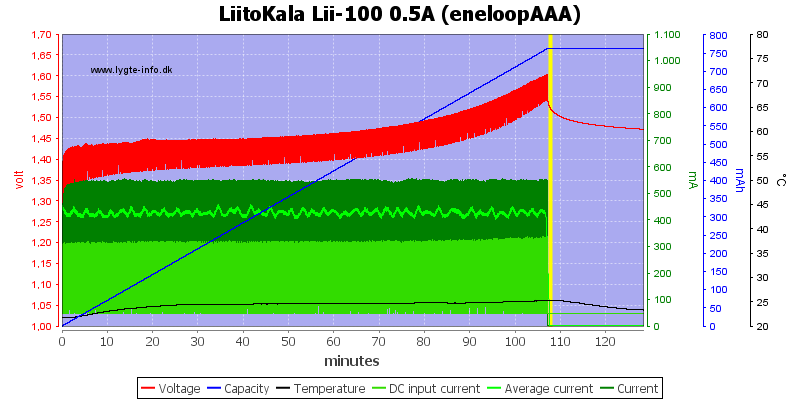 The AAA cell is stopped on voltage. 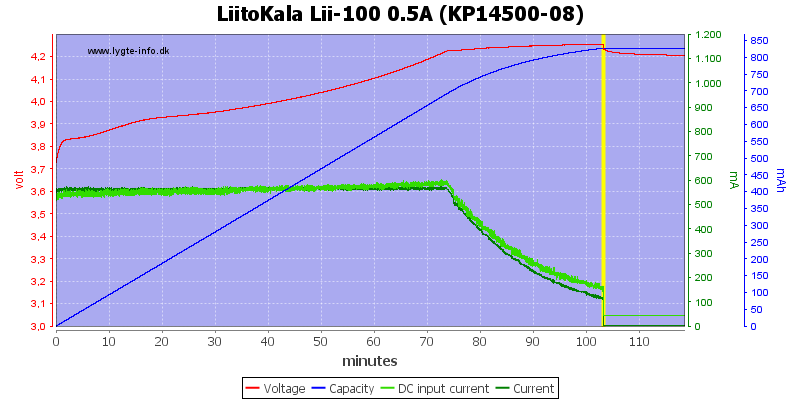 Fast detection of a full cell, this is voltage termination. 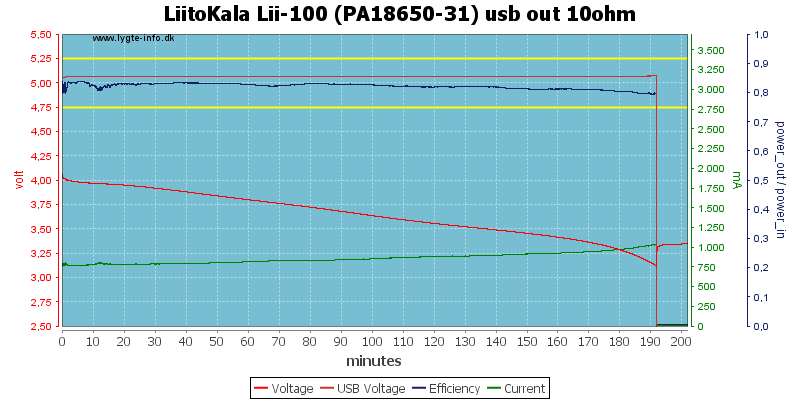 USB output will turn off after 10 seconds with less than 65mA load. 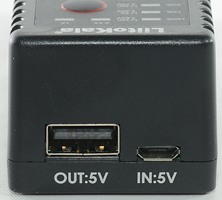 USB output can deliver 1.3A before it starts dropping, the overload protection first kicks in at 2A. 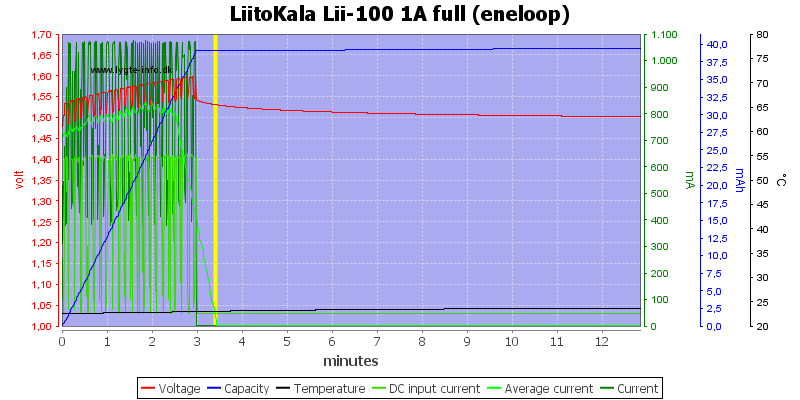 1A output also looks very good. It looks like this model often is a bit high in charge voltage, but within allowable tolerances. 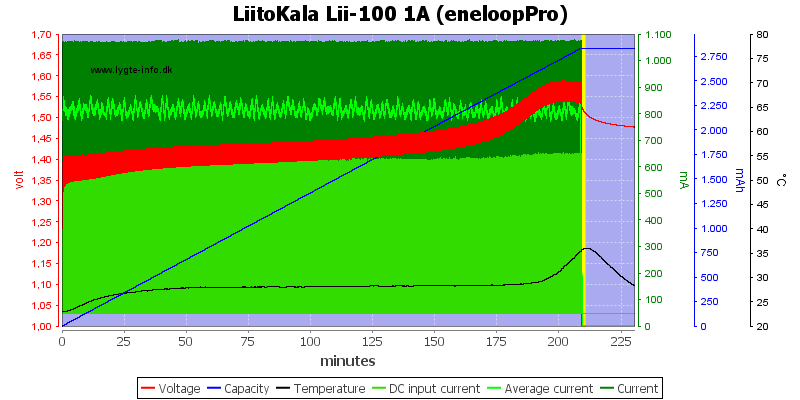 I did not see any problems real with it. 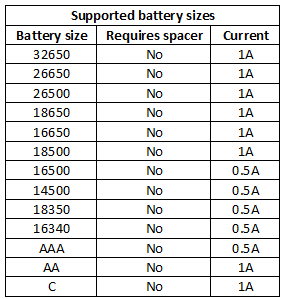 This makes it a good charger for all supported batteries and also a good power bank.